SHE lived her life to the beat of the "Shandee drum". 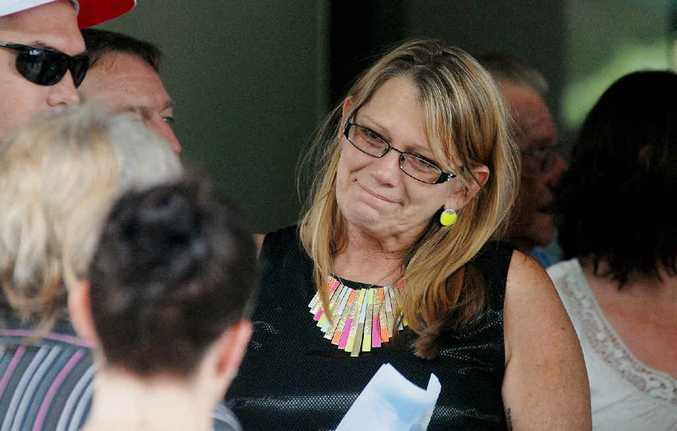 Yesterday hundreds of mourners gathered at Newhaven Chapel to farewell the "beautiful, kind and loving" Shandee Blackburn, whose life was stolen 10 days ago. Her death, which has devastated the Mackay community, was described as tragic and senseless. Family friend Bruce Haines described the 23-year-old as a rebellious teenager who had her own "Shandee way" and loved music. Though her parents and sister did not speak they each left a heartfelt letter to her in the funeral booklet. Vicki Blackburn wrote: "I don't want to know every day what you went through alone, I don't want to know that I didn't stand in front of you and protect you". Peter Blackburn wrote: "You were my little bundle of joy ... The memories I keep are ours alone, I just wish that there were more to come". "Shandee loved writing poems, she was never without a notebook," Mr Haines told the crowd or mourners. Mr Haines said Shandee, who had a number of tattoos, recently had the words "blessed" and "lucky" tattooed behind her ears. "We can only hope that is truly how she felt about her very short life," he said. Mr Haines choked back tears as he described how she had hoped to one day be a mother. "Shandee was a unique personality; she always stood up for the underdog and was always a very loyal person to friends and family. "Shandee will be missed forever." The eulogy was followed by a reading from her stepfather Paul Beardmore, "She is Gone", and a poem from her boyfriend Arron Macklin, "Beautiful Memories". More laughs than tears were shed as a slideshow of photographs was played. The photos depicted images of her childhood through to funny photographs of Shandee having fun with her sister Shannah. Shandee was laid to rest at Mount Bassett Cemetery where 23 balloons were also released to mark each year of her short life. Family and friends later gathered at Harrup Park, where Shandee worked, to share stories about the "stubborn", "demanding" but "genuine" girl. The family asked mourners to make donations to DonateLife, a cause Shandee felt strongly about. Have you had the organ donation chat?